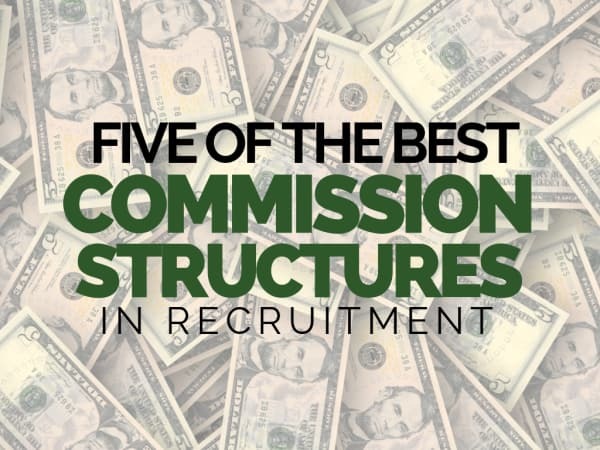 In January 2018, we published 6 of The BEST Commission Structures in Recruitment. It was our most popular article of the year by some margin. We’ve told you how to spend it wisely. And we’ve tackled the myth that all Recruiters are money-hungry leeches. Because commission’s not the only KPI that matters. Although it’s tough finding a simpler metric to quantify an individual’s success in recruitment. Commission comes from placements. And those are not only good for you, but your candidate, their family, their new employer and ideally their new team mates as well. So commission’s the mark of something good happening. It also directly impacts your personal wealth. Which means not bricking it about rent. Or shelling out for normal things like going on holiday. Basically living the lifestyle you want. Which I’d imagine is why you got into recruitment in the first place. So last week, we examined what the phrase “industry-leading” really means when it comes to L&D. Here, we’ve done the same thing with commission structures. Lots of companies say they’ve got the best. Here are 5 of the top commission structures among Hunted partners. Benchmark your own commission scheme here by applying how much you bill on an average month to each of these examples. Because if you could be taking home more money making the same number of placements, wouldn’t it be wise to at least have a think about what else is out there? High earning potential, no suits or ties, and a culture where you’ll enjoy coming to work. Every day. 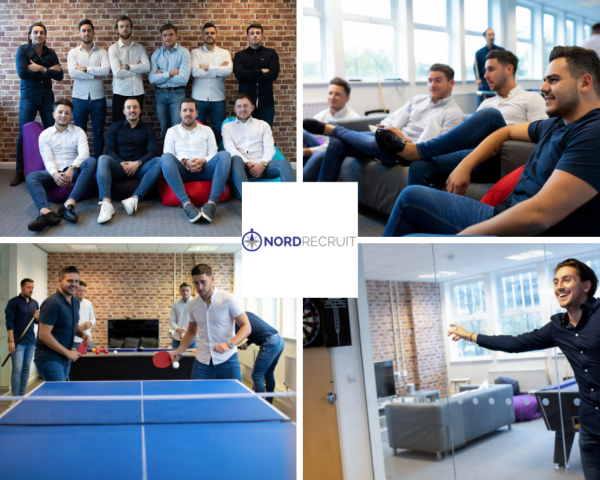 Based in Southend on Sea, Nord Recruit love giving with high biller incentives, lunch clubs, skiing holidays, Selfridges vouches and client trips abroad. Their commission structure differs depending on how far you’ve progressed through the ranks. It’s a tight structure that starts high. On top of this, bonuses kick in for the team once they exceed their target. Depending on how far over you go, up to £5,000 is shared among everyone. Deals range between £9,000 and £15,000. And on average Consultants bill £190,000 a year. Monthly team lunches, quarterly days out for the whole company, all expenses paid trips to visit clients in Scandinavia, and the potential to own shares in the company all contributes to an environment of well-rewarded high performers. 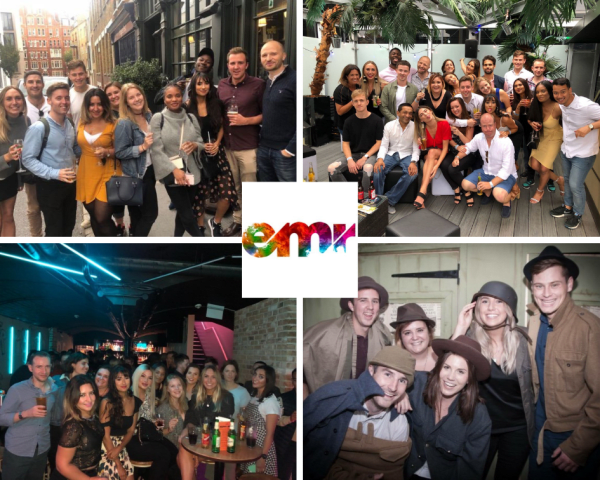 With over 25 years experience, EMR specialise in marketing recruitment, covering everything from core marketing, to digital, communications and investor relations. Commission’s calculated quarterly and paid monthly. So there’s the added element of consistency, even if you’ve had a quiet month either side of two big ones. There’s an additional kicker of 5% commission on everything over £250k in a calendar year as well. Meaning earning six figures is a realistic prospect. EMR are a parent-friendly company, with 2 hours of flexi-time to use each week and individual’s working hours depending on their circumstances. They promote a healthy work-life balance. And a diverse bunch takes advantage of this commission scheme: grads, industry experts, international team members, Mums, Dads and ex-Marketers. 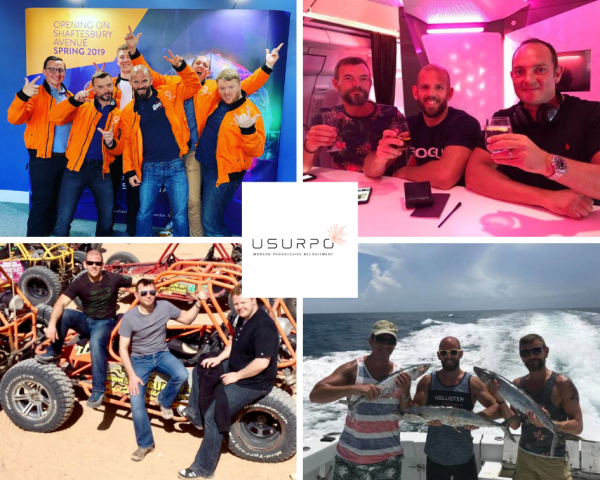 Usurpo serve their clients internationally from two UK offices in Reading and Brighton. Since 2011, they’ve focussed on the cyber security software market. And have recently diversified to cater for the enterprise software market and interim candidates in the tech sector. Watch how quickly their commission structure escalates. There’s a £5k threshold which is reset every month. No there isn’t mud on your screen. You read that perfectly the first time. You take 50% on everything you bill over £20K. Usurpo give you a ‘company spend’ for hitting your quarterly targets: a tax free amount for you to purchase anything you want. Do that over 4 quarters and that’s £8,000 tax free ON TOP of their commission structure. And if you’re looking for more of that elusive work-life balance, you’ll be pleased to know that everyone (including leadership) gets to the office at half nine and leaves at half four. Established in 2006, Vertex have worked with some of the biggest names in FMCG, as well as innovator-led start-ups, VC buyouts and SMEs. They’ve got an awesome office with a sun deck in Kingston. And there’s a pool table in the board room. Enjoying what they do is an important value – as is getting results. They look after their Consultants at Vertex. And that’s reflected in their commission structure. Once you hit the next bracket, the % on the left is on everything down to £0. So if you bill £20,001 one month, you’ll get 33.5% on *everything*. 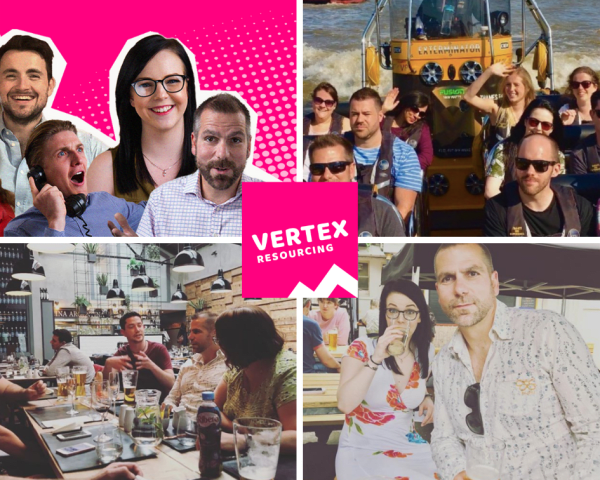 Vertex champion work-life balance. And Consultants are able to work flexible hours, part-time and from home. 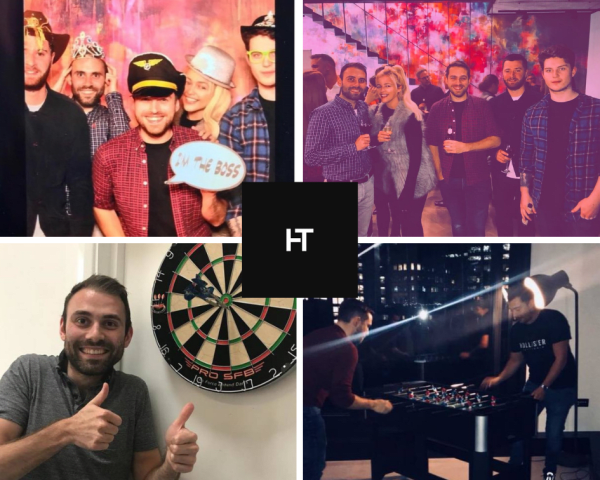 HiTalent are tech recruiters working with some of the coolest startups in Europe. Their clients include companies of all sizes, from Seed Stage to IPO. They operate a hybrid structure, allowing businesses to choose whether they want to work on a contingent basis or exclusively in an RPO context. However you make your placements, you’ll want to know how much of that deal’s coming your way. Keep in mind there’s a £5k threshold. 60%. Giving more back than keeping. A rarity in recruitment. And if that wasn’t enough, you’ll also receive an Account Management Commission of 10% of revenue generated from Accounts brought in. HiTalent’s list of benefits also includes things like unlimited holiday, flexitime, expedited promotion to Team Leader, and share options for high achievers. They’re based in a new office, with 180° views of Shoreditch. And there’s a relaxed dress code with space for working outdoors. Then get yourself on Hunted. Commission’s obviously important, but it’s not the be all and end all. You’ll still need a great team behind you, with the right tools to properly make the most of it. To reach lofty thresholds, you need to be in an environment where you’re empowered to hit bigger numbers. Because you’ll bill more if going into work’s less of a drag. Start a profile on Hunted to message employers anonymously. And if you could be taking home more for doing the same job somewhere else, why wouldn’t you?